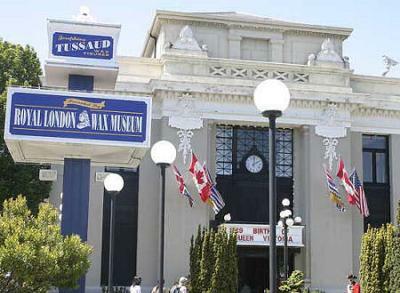 A great place to visit is the Royal London Wax Museum located almost next door to the Pacific Undersea Gardens. Here you can see more than 300 Wax Figures of Historical, Political and Royal Personages. Complete with a gift shop, this is a great place to go on a field trip as a class or a family to just visit for fun. Across Belleville Street, you can visit the Parliament Buildings that were constructed in 1893. They offer educational tours of the building which can be heard in English, French, German, Mandarin or Cantonese. These tours are offered during the Summer Months. Overall, Belleville Street in Victoria has many things to do, along with the places I listed above, you can also take a horse drawn tour, eat at a great restaurant or just sit and relax while looking over Victoria’s Inner Harbour. It is a beautiful place to visit. The website is about Victoria British Columbia Canada guide.It is an beautiful city in Canada and every one like to visit here.If any one want to get guideline about it so he can get information from here. Always do the CV writing in an active voice of writing instead of passive voice of websites that write essays. Using active voice of writing will make the CV look professional to the readers. Hi just wanted to say that when I visited in 2003, I had a great time visiting the wax museum. I expecally like when we headed downstairs the guy pretended to be a wax figure and scared me and my foster family. My funniest moment was when I was looking at a wax figure of one of the US Presidents, I didn't know a guy was behind me and I raised my had to put it on the ropes and the guy said "DON'T THINK ABOUT TOUCHING ME!" I screamed and ran a bit lol. This was an entertaining review. I've not visited the wax museum as yet, though I have enjoyed Belleville Street. This will definitely be on my recommendations list for the future!